Because the entire treated air within your house travels within the ductwork, there's a considerable possibility of energy reduction in this part of the system. In new houses or old, however, there are certainly efficient ways to prevent this energy loss as well as waste of money that results. 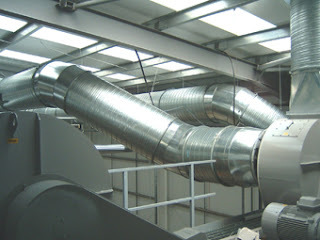 The design of both the supply and return ductwork has a major effect on duct efficiency and energy loss. Your duct system has to be made to fit inside the space available to it. Based on your home’s configuration, the design could possibly be insufficient to deliver conditioned air for all areas of your house. An excess of “Y” branches or damaged ducts may also mean very poor performance. Design factors are simpler to address during new construction, but even in existing houses, ductwork can be reconfigured to become more efficient. Your whole network of ducts needs to be properly sealed for preventing air leaks and energy loss. Each part of the ductwork should fit securely together with adjoining sections, specifically elbows and joints. Connections have to be sealed with mastic or metal tape. Typical duct tape isn't suggested because the adhesive can dry up and fail after some time. Ducts also need to be adequately insulated since energy is often lost within the thin metal of the ductwork itself. Ducts have to be correctly sized to be effective and avoid energy loss. They have to be large enough to carry and disperse sufficient volumes of heated or cooled air to the furthest points of the duct network. They can't be too small or they'll limit airflow within the system. Ducts must be placed into conditioned and insulated parts of the house where possible. Running ductwork through garage areas, crawl spaces, or unfinished basements or attics increases the chance of energy loss. Contact Sandium Heating and Air today for answers to your questions about ductwork efficiency and just what may be done to reduce energy loss all through your ductwork system.